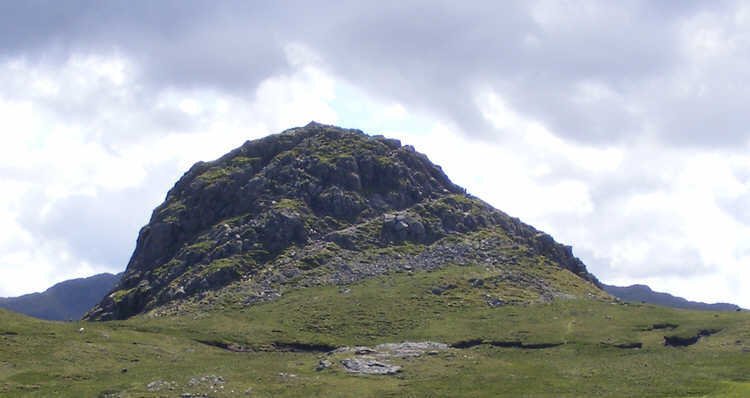 Pike of Stickle seen from Harrison Combe, showing the only accessible side of the peak. In this author's opinion the easiest way up is straight up the centre of this picture, leaving the clearly visible path just at the top of a series of stone steps. The path itself heads off towards the cliffs, and doesn't offer quite the same easy scramble to the top.